When Newcastle City Council needed a lighting product to improve night works for its City Wide Services arm, it looked to a new portable, inflatable light tower designed with safety and efficiency in mind. “We had been looking to purchase lights that gave off good light and were easily manoeuvrable,” explains Shane Humphries, manager of City Wide Services for the Newcastle City Council. Like any local government authority, contractor or road operator, lighting is a critical consideration for night road works. A reliable lighting product can help ensure safe working conditions for workers, as well as sufficient illumination on site. A lightweight product also boasts significant benefits for emergency call outs or short-term jobs over bulkier counterparts, which may be confined to the one position until the job is complete given their size and weight. 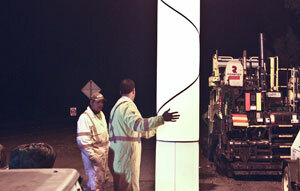 The council opted for the Aust Light Tower, a mobile and lightweight product that met its expectations. “The Aust Light Towers are extremely compact for storage, they don’t take up much room on the job site and they can be easily moved around a site to suit the situation,” says Mr. Humphries. At 25 kilograms, the Aust Light Tower is small and easily deployable on site. “They make hardly any noise from the small generator that runs them and they are easy to remove when we are finished with a job,” adds Mr. Humphries. It consists of an inflatable, adjustable semi-transparent tube and stands up to five metres high and is capable of illuminating an area of up to 10,000 square metres in less than three minutes from being switched on. The tower’s design allows for simple and rapid deployment by one person in under a minute, minimising the manual labour historically associated with larger lighting models. Its 1.5-kilowatt fuel-efficient, four-stroke generator also means the Aust Light Tower can be used on remote work sites where electricity is not immediately available. The special semi-transparent material that makes up the tower’s inflatable component helps defuse the light, producing a softer light for better visibility. The shadows that often accompany floodlights are subsequently reduced, and as the light tower is lit from above, users can focus on the task at hand rather than be distracted by strong lighting. “I find the light the Aust Light Tower produces is perfect, as it is not too glary for motorists. We use the Aust Light Towers for a number of things, such as emergency lighting for call outs, night works for sign and line marking crews, night patch works and we plan on using them for mowing medium strips on main roads in the late winter afternoons when the light is fading,” says Mr. Humphries. 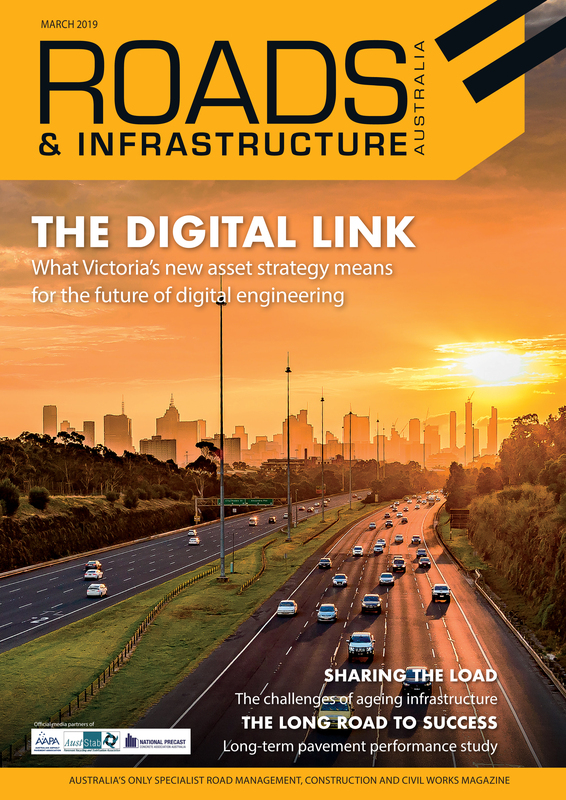 “Where the Aust Light Towers have really helped us is to highlight traffic controllers, to the extent we now go without day markers as the light towers produce all the light we need. This goes a long way for ensuring the safety of my crews,” he adds. The towers are also designed to withstand wind gusts of 70 kilometres per hour with the assistance of tensions ropes. They can also operate under harsh conditions, from sub zero temperatures to the heat of Australia’s deserts. Dean Currey, Controller for the Echuca SES Unit, and his team have also taken advantage of the benefits the Aust Light Tower, especially in situations that require rapid response. “We have had our light tower for over six years, and what can we say but ‘wow’. It has been a very utilised piece of equipment, whether it be at community events or used during operational events where lighting a scene is required,” says Mr. Currey. Gennady Lipkin, Chief Operating Officer at Aust Light Tower, says the tower has proved a reliable device under a range of environmental conditions in various applications, including emergency services. The locally made product has been adopted by SES, RFS and CFA branches, as well as event companies because of its rapid deployment and ease of use. “It’s smaller and lighter than other products and it fits in the boot of a standard car,” says Mr. Lipkin. Its boasts the same benefits for roadwork crews, especially compared with bulkier floodlights or lighting towers. The Aust Light Towers have found a suitable market through word of mouth and testimonials, which Mr. Lipkin says has been a key to its adoption in Australia.